The Columbus Funk’N Beer Festival celebrates Funk music, in all of its various forms, as well as the vibrant microbrewery scene in Central Ohio. The event will be held November 9th and 10th at the historic Bluestone in Columbus, Ohio. Friday 11/9: The Floozies and Turkuaz, with special guests SoDown, Wax Future, & Manimal. Midland LIVE at The Bluestone on Saturday, November 17, 2018! Ticket On-Sale July 13th, 2018 at 10AM! RAW Natural Born Artist is an independent arts organization for artists, by artists. San Holo is returning to Columbus for his album1 Tour at The Bluestone on November 28, 2018! Originally wanting to start a band, San Holo found it easier for him to work alone. After graduating from Codarts University for the Arts in Rotterdam, the Danish producer started his career as a ghost producer. After much success, he launched his San Holo project in 2014. Since then, he has released genre-blending music on many different labels including Monstercat, OWSLA, Spinnin’ Records, and his own label, bitbird. He has performed at some of the biggest festivals in the world including Ultra Miami, EDC Las Vegas, Coachella, and Tomworrowland. You are not going to want to miss his unique style! Whiskey Myers will be performing LIVE at The Bluestone on Saturday, December 1st, 2018! Sgt. Peppercorn’s Beatles Marathon is an event like no other. Experience Sgt. Peppercorn’s Lonely Hearts Club Band perform every Beatles song in chronological order. 215 songs, 1 day, 12+ hours. For the Ninth consecutive year, Columbus musicians will play all 215 officially released Beatles songs, in a single performance. Beginning with the album, Please Please Me at 12:30 PM, and ending with Abbey Road some time after midnight, The Beatles Marathon is currently, the only single performance of every Beatles song. The Beatles Marathon is arguably the most ambitious musical feat attempted in Columbus each year, and it has also become a beloved community event. For Peppercorn, who’s now known more for the Beatles show than for his band the Whiles, the event isn’t some excuse to play a bunch of covers and make some money. It’s an essential, sacred part of his life. Every ticket for this show includes a physical CD of Mitchell Tenpenny’s forthcoming album, Telling All My Secrets. You will receive an email with instructions on how to redeem this offer approximately 7 days after your ticket purchase. Devin Dawson is a country singer and songwriter with a keen ear for clever turns of phrase and a knack for splitting the difference between rootsy and contemporary. A native of Orangevale, California, Dawson spent his formative years soaking in the sounds of Creedence Clearwater Revival, Alan Jackson, Marvin Gaye, and Johnny Cash. In 2012, he packed his bags and headed to Nashville, where he became ensconced in the Music City songwriting machine, penning songs for other artists. After spending a few years honing his chops, he decided to strike out on his own, and enlisted the help of producer Jay Joyce (Eric Church, Little Big Town, Brothers Osborne). 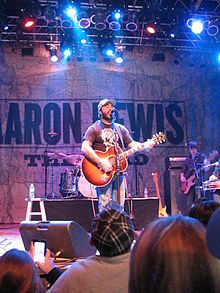 He inked a deal with Warner Music Nashville and released his debut single, “All on Me,” which reached the Top 20 on the Hot Country Songs chart. The track was included on his 2018 full-length debut, Dark Horse, which also included collaborations with songwriters Luke Laird, Josh Kerr, Seth Ennis, and others.